I had the privilege of attending Minh Le Hoang’s solo classical guitar concert and launch of his new CD “The Fall of Birds” last Friday March 6th at the Wesley Music Centre. This was one of the best classical guitar concerts I’ve ever attended. The playing was not only virtuostic but the level of emotional intensity was extraordinary. The CD is a delight and I can heartily recommend it to any lovers of the guitar. 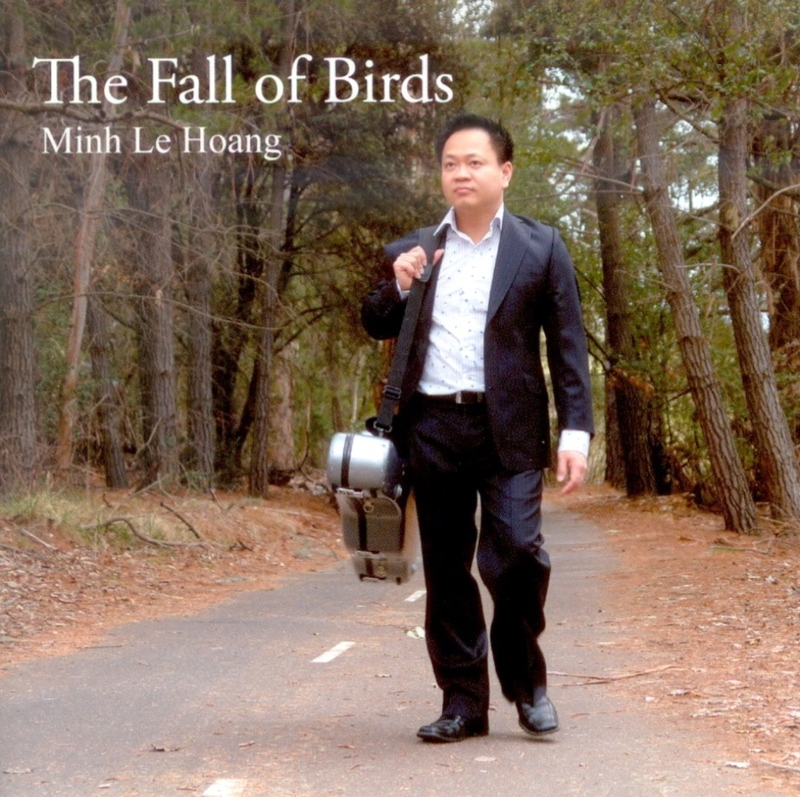 This entry was posted in CDs and tagged cd, Minh Le Hong, The Fall of Birds on March 9, 2009 by allan. I stopped playing guitar for about 15 years. I started play again after hearing LH MINH. He revived my love for this sophisticated instrument. 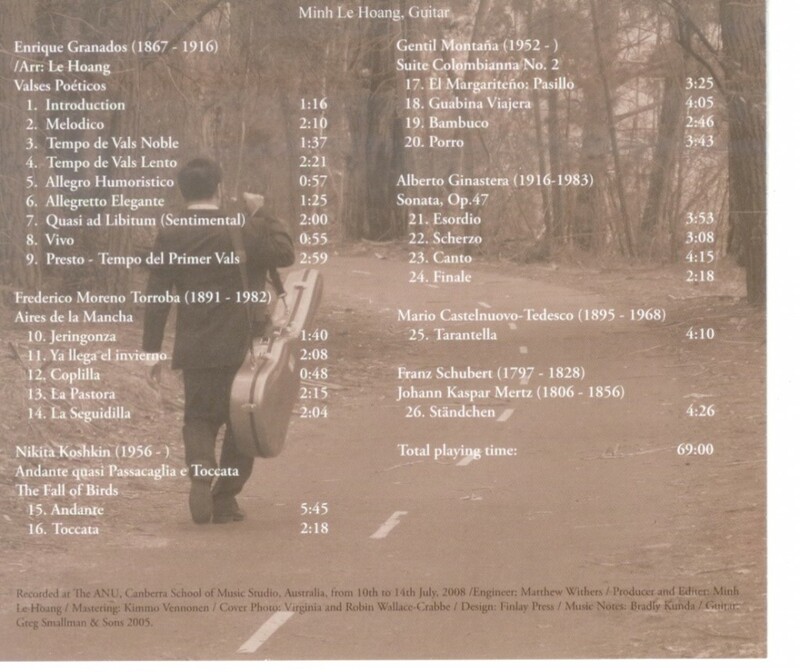 I have heard Minh le Hoang playing Koyunbaba of Carlo Domeniconi and I believe that MLH is one of the best guitarist in the world of our time. If comparing Koyunbaba playing by Xuefei Yang, lie Jie and the other top gutarists, playing by MLH is much better than all of them. I need to order this CD right now…. I agree that Minh is a wonderful guitarist. He has an awesome technique and his music is so expressive. I am a fan! I really love Minh’s new CD and I play it all the time. He has breathtaking technique and such passion and emotion in his music. This CD has been featuring on ABC FM ‘On the Verandah’ this week and the playing is magnificent. I have also heard Minh le Hoang live and he really has a virtuosic talent.